In 1842, that got him into a heap of trouble. When he clashed with James Shields, a political rival, Lincoln came up with a rascally plan. It was a great big mistake! 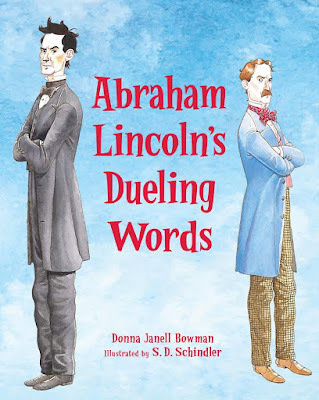 Shields challenged Lincoln to a duel! Lincoln would need his wit and a healthy dose of humility to save his career—and even his life. A rare look at the more human side of Abraham Lincoln and how the lessons he learned made him a better man. "It always happens that, when I’m researching for one book, ideas for other books pop up. That’s what happened in 2012, when I came across a one-line mention of Abraham Lincoln’s duel. "At first, it was as if my brain couldn’t register that our most revered, monumentalized American figure did something so controversial and dangerous. "The research journey that followed revealed a great deal about the evolution of Lincoln’s character. He was a real, fallible, sometimes-naughty guy, just like the rest of us. How refreshing! 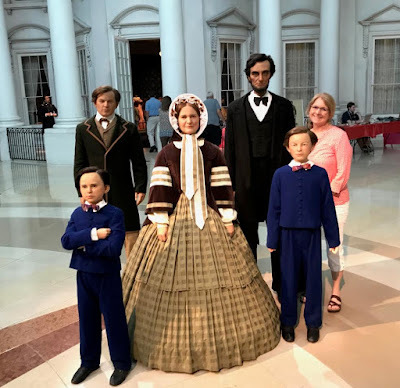 "Lincoln could have allowed his mistakes to define him, but he chose instead to learn from them. "Now that is something to admire, isn’t it? How lucky for our country that his duel ended without arrest or death. Either of those outcomes could have changed the future of the United States. "I was fortunate that my Peachtree editor, Kathy Landwehr, included me in the illustrator-selection process. At the top of both of our wish lists was S.D. 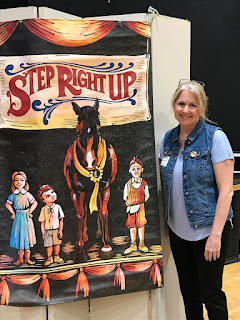 Schindler, the artistic talent behind many books for children, including Barb Rosenstock’s Ben Franklin's Big Splash (Calkins Creek, 2014), Verla Kay’s Hornbooks and Inkwells (Penguin-Putnam, 2011), and Phil Bildner’s The Unforgettable Season (Penguin, 2011). "Wait til you see the interior art when Abraham Lincoln's Dueling Words releases April 1, 2018 (no fooling!). "Til then, check out this gorgeous cover! Don’t you love how oppositional Lincoln and his foe appear and how the placement of the book’s title—and its reference to the inciting incident—divide the men so intensely? "I love, love, love it. I hope you will, too." Donna Janell Bowman is the author of the picture book biography Step Right Up: How Doc And Jim Key Taught The World About Kindness, illustrated by Daniel Minter (Lee & Low, 2016), which earned many accolades, including three starred reviews, a Writer’s League of Texas Book Award, and a Carter G. Woodson Award Honor from NCSS. It was also named an ALA Notable Book, a NCTE Orbis Pictus Recommended book and a Junior Library Guild Selection. Donna has an MFA in Writing for Children and Young Adults from Vermont College of Fine Arts and enjoys speaking with and mentoring writers of all ages. She lives near Austin, Texas and is represented by Erin Murphy—Erin Murphy Literary Agency. Oh my gosh, I cannot wait to read this book!!!!! It sounds fabulous and the cover looks awesome!